This curated list comprises awesome resources, libraries, information sources about computational processing of texts in human languages with the Ruby programming language. That field is often referred to as NLP, Computational Linguistics, HLT (Human Language Technology) and can be brought in conjunction with Artificial Intelligence, Machine Learning, Information Retrieval, Text Mining, Knowledge Extraction and other related disciplines. This list comes from our day to day work on Language Models and NLP Tools. Read why this list is awesome. Our FAQ describes the important decisions and useful answers you may be interested in. Our main goal is to promote Ruby as a tool for NLP related tasks. Your help, suggestions and contributions are welcome! We kindly ask you to study the Contribution section. Follow us on Twitter and please spread the word using the #RubyNLP hash tag! An NLP Pipeline starts with a plain text. composable_operations - Definition framework for operation pipelines. ruby-spark - Spark bindings with an easy to understand DSL. phobos - Simplified Ruby Client for Apache Kafka. open-nlp - Ruby Bindings for the OpenNLP Toolkit. stanford-core-nlp - Ruby Bindings for the Stanford CoreNLP tools. treat - Natural Language Processing framework for Ruby (like NLTK for Python). nlp_toolz - Wrapper over some OpenNLP classes and the original Berkeley Parser. open_nlp - JRuby Bindings for the OpenNLP Toolkit. alchemyapi_ruby - Legacy Ruby SDK for AlchemyAPI/Bluemix. wit-ruby - Ruby client library for the Wit.ai Language Understanding Platform. wlapi - Ruby client library for Wortschatz Leipzig web services. monkeylearn-ruby - Sentiment Analysis, Topic Modelling, Language Detection, Named Entity Recognition via a Ruby based Web API client. Language Identification is one of the first crucial steps in every NLP Pipeline. scylla - Language Categorization and Identification. Tools for Tokenization, Word and Sentence Boundary Detection and Disambiguation. pragmatic_tokenizer - Multilingual tokenizer to split a string into tokens. nlp-pure - Natural language processing algorithms implemented in pure Ruby with minimal dependencies. textoken - Simple and customizable text tokenization library. pragmatic_segmenter - Word Boundary Disambiguation with many cookies. punkt-segmenter - Pure Ruby implementation of the Punkt Segmenter. tactful_tokenizer - RegExp based tokenizer for different languages. scapel - Sentence Boundary Disambiguation tool. Stemming is the term used in information retrieval to describe the process for reducing wordforms to some base representation. Stemming should be distinguished from Lemmatization since stems are not necessarily have linguistic motivation. ruby-stemmer - Ruby-Stemmer exposes the SnowBall API to Ruby. uea-stemmer - Conservative stemmer for search and indexing. Lemmatization is considered a process of finding a base form of a word. Lemmas are often collected in dictionaries. lemmatizer - WordNet based Lemmatizer for English texts. wc - Facilities to count word occurrences in a text. word_count - Word counter for String and Hash objects. words_counted - Pure Ruby library counting word statistics with different custom options. stopwords-filter - Filter and Stop Word Lexicon based on the SnowBall lemmatizer. ruby-ngram - Break words and phrases into ngrams. raingrams - Flexible and general-purpose ngrams library written in pure Ruby. stanfordparser - Ruby based wrapper for the Stanford Parser. amatch - Set of five distance types between strings (including Levenshtein, Sellers, Jaro-Winkler, 'pair distance'). damerau-levenshtein - Calculates edit distance using the Damerau-Levenshtein algorithm. hotwater - Fast Ruby FFI string edit distance algorithms. levenshtein-ffi - Fast string edit distance computation, using the Damerau-Levenshtein algorithm. tf_idf - Term Frequency / Inverse Document Frequency in pure Ruby. tf-idf-similarity - Calculate the similarity between texts using TF/IDF. SentimentLib - Simple extensible sentiment analysis gem. gingerice - Spelling and Grammar corrections via the Ginger API. hunspell-i18n - Ruby bindings to the standard Hunspell Spell Checker. ffi-hunspell - FFI based Ruby bindings for Hunspell. hunspell - Ruby bindings to Hunspell via Ruby C API. alignment - Alignment routines for bilingual texts (Gale-Church implementation). google-api-client - Google API Ruby Client. microsoft_translator - Ruby client for the microsoft translator API. termit - Google Translate with speech synthesis in your terminal. zipf - implementation of BLEU and other base algorithms. chatterbot - Straightforward ruby-based Twitter Bot Framework, using OAuth to authenticate. lita - chat operation bot framework written with persistent storage provided by Redis. stimmung - Semantic Polarity based on the SentiWS lexicon. chronic - Pure Ruby natural language date parser. chronic_between - Simple Ruby natural language parser for date and time ranges. chronic_duration - Pure Ruby parser for elapsed time. kronic - Methods for parsing and formatting human readable dates. nickel - Extracts date, time, and message information from naturally worded text. tickle - Parser for recurring and repeating events. numerizer - Ruby parser for English number expressions. ruby-ner - Named Entity Recognition with Stanford NER and Ruby. ruby-nlp - Ruby Binding for Stanford Pos-Tagger and Name Entity Recognizer. espeak-ruby - Small Ruby API for utilizing 'espeak' and 'lame' to create text-to-speech mp3 files. tts - Text-to-Speech conversion using the Google translate service. att_speech - Ruby wrapper over the AT&T Speech API for speech to text. rwordnet - Pure Ruby self contained API library for the Princeton WordNet®. wordnet - Performance tuned bindings for the Princeton WordNet®. Machine Learning Algorithms in pure Ruby or written in other programming languages with appropriate bindings for Ruby. For more up-to-date list please look at the Awesome ML with Ruby list. rb-libsvm - Support Vector Machines with Ruby. weka-jruby - JRuby bindings for Weka, different ML algorithms implemented through Weka. decisiontree - Decision Tree ID3 Algorithm in pure Ruby [post]. rtimbl - Memory based learners from the Timbl framework. classifier-reborn - General classifier module to allow Bayesian and other types of classifications. lda-ruby - Ruby implementation of the LDA (Latent Dirichlet Allocation) for automatic Topic Modelling and Document Clustering. liblinear-ruby-swig - Ruby interface to LIBLINEAR (much more efficient than LIBSVM for text classification). linnaeus - Redis-backed Bayesian classifier. maxent_string_classifier - JRuby maximum entropy classifier for string data, based on the OpenNLP Maxent framework. naive_bayes - Simple Naive Bayes classifier. nbayes - Full-featured, Ruby implementation of Naive Bayes. omnicat - Generalized rack framework for text classifications. omnicat-bayes - Naive Bayes text classification implementation as an OmniCat classifier strategy. ruby-fann - Ruby bindings to the Fast Artificial Neural Network Library (FANN). Please refer to the Data Visualization section on the Data Science with Ruby list. tesseract-ocr - FFI based wrapper over the Tesseract OCR Engine. yomu - library for extracting text and metadata from files and documents using the Apache Tika content analysis toolkit. rsolr - Ruby and Rails client library for Apache Solr. sunspot - Rails centric client for Apache Solr. thinking-sphinx - Active Record plugin for using Sphinx in (not only) Rails based projects. elasticsearch - Ruby client and API for Elasticsearch. elasticsearch-rails - Ruby and Rails integrations for Elasticsearch. google-api-client - Ruby API library for Google services. Libraries for language aware string manipulation, i.e. search, pattern matching, case conversion, transcoding, regular expressions which need information about the underlying language. fuzzy_match - Fuzzy string comparison with Distance measures and Regular Expression. fuzzy-string-match - Fuzzy string matching library for Ruby. active_support - RoR ActiveSupport gem has various string extensions that can handle case. fuzzy_tools - Toolset for fuzzy searches in Ruby tuned for accuracy. u - U extends Ruby’s Unicode support. unicode - Unicode normalization library. CommonRegexRuby - Find a lot of kinds of common information in a string. regexp-examples - Generate strings that match a given regular expression. verbal_expressions - Make difficult regular expressions easy. Going the Distance - Implementations of various distance algorithms with example calculations. Named entity recognition with Stanford NER and Ruby - NER Examples in Ruby and Java with some explanations. Words Counted - examples of customizable word statistics powered by words_counted. All projects in this section are really important for the community but need more attention. Please if you have spare time and dedication spend some hours on the code here. ferret - Information Retrieval in C and Ruby. summarize - Ruby native wrapper for Open Text Summarizer. Awesome Ruby - Among other awesome items a short list of NLP related projects. Ruby NLP - State-of-Art collection of Ruby libraries for NLP. Speech and Natural Language Processing - General List of NLP related resources (mostly not for Ruby programmers). 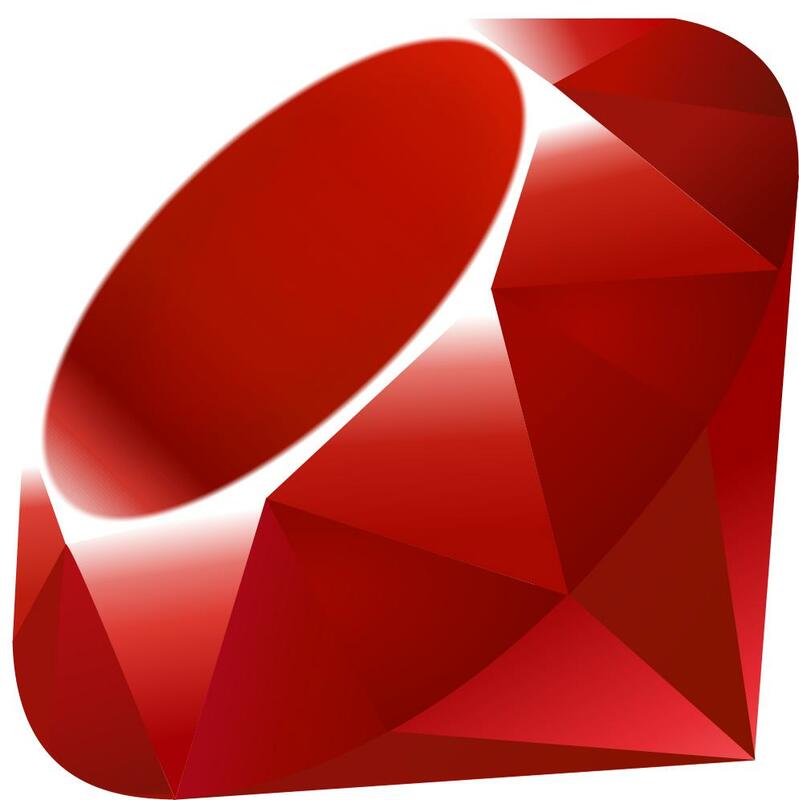 Scientific Ruby - Linear Algebra, Visualization and Scientific Computing for Ruby. iRuby - IRuby kernel for Jupyter (formelly IPython). Kiba - Lightweight ETL (Extract, Transform, Load) pipeline. Awesome OCR - Multitude of OCR (Optical Character Recognition) resources. Awesome TensorFlow - Machine Learning with TensorFlow libraries. rb-gsl - Ruby interface to the GNU Scientific Library. The Definitive Guide to Ruby's C API - Modern Reference and Tutorial on Embedding and Extending Ruby using C programming language. We are very glad to see you in this section and highly appreciate any help! carefully read the Contribution Guidelines. Some of the open tasks for contributors are listed in the todo file. You may want to start there. Awesome NLP with Ruby by Andrei Beliankou and Contributors. To the extent possible under law, the person who associated CC0 with Awesome NLP with Ruby has waived all copyright and related or neighboring rights to Awesome NLP with Ruby. You should have received a copy of the CC0 legalcode along with this work. If not, see https://creativecommons.org/publicdomain/zero/1.0/.